We appreciate that people will come to Arty Splats with unique skill sets and we will help you to capitalise on your strengths and support you to develop new skills. 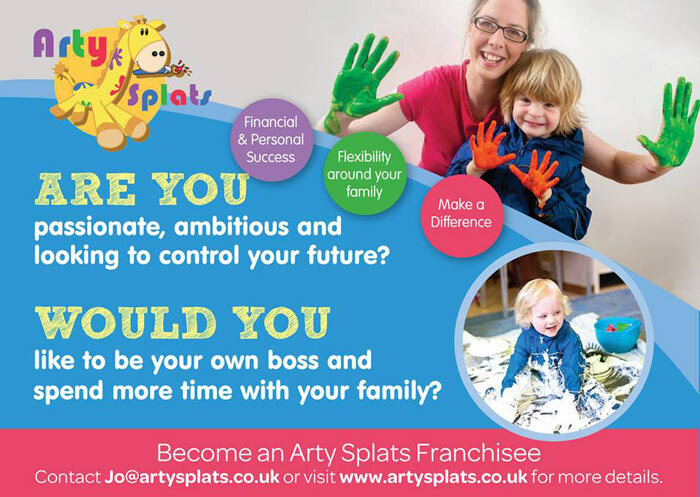 At Arty Splats we are passionate about helping individuals to achieve their goals and our ongoing support and mentoring will support you on your business journey. No experience is necessary and in essence we only need you to have a 4 key traits. Do you have a winning franchise personality? Do you have a determination to succeed? Do you have a positive, can-do attitude? Are you a people person, good with grown ups and little ones alike? Are you willing to follow set systems and procedures and represent our brand in a professional manner?